Havant Ladies will be aiming to build on their draw with Woking when they face Epsom next on Saturday. Charlotte Cox has boosted the squad by returning to hockey and she was back involved for the Woking match. It finished in a 2-2 draw which meant Havant remained one position above the bottom side in the table. At Havant College the home side will be hoping they can settle a score with Epsom (1.30pm). Earlier in the season it was 3-2 to their visitors who sit in seventh position in the South Clubs’ Women’s League division two table. Interestingly Epsom have exactly the same goal difference as Havant, having scored 13 goals and conceded 28 goals. Saturday presents a really good opportunity for Havant Ladies to put further points on the board. The ladies’ seconds go away to Southampton in Hampshire League division one. They will be looking to bounce back from 3-0 defeat at home to Romsey last time out. 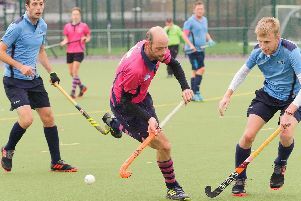 Meanwhile, Havant men have played a couple of warm up games over the past weeks – a loss to Richmond and a draw against Brighton. 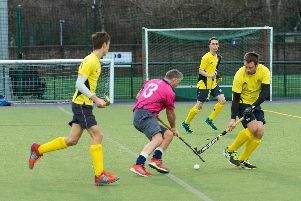 Despite the squad being short in both games the quality of hockey was good. Akhtar Ali has returned to Pakistan and Adam Bloomfield has joined Fareham having been frustrated in not getting a regular place in our match day squad. Past member and forward Jamie Whitehouse returns to Havant from Chichester. Isca is the destination on Sunday for a 12.30pm push back at the University of Exeter. When Havant played Isca in early October they won 3-1 with goals from Jack Stubbings and two penalty corners from Fede Bertoni. Very surprisingly Isca have yet to win a point this season, as they played well at Havant. Their eight goals scored and 36 goals conceded tells a story. Havant need to come away from Exeter with three more points. Many clubs in the bottom half of the table have strengthened their squads in the hope they can make up ground and finish in the top six to automatically qualify for the new first division league next season. Fareham go away to Team Bath Buccaneers on Sunday (1pm).